Asylum Press has released Mike Vosburg’s crime comic, Retrowood: H.I. or L.O. #1 (of 2) for free on all digital platforms. The environment is faux Depression era Hollywood, complete with snarling gangsters in snappy suits, the untouchable wealthy , corruptible starlets in sleek revealing gowns, and elegantly designed automobiles set against the poverty and despair of the average joe. And in the middle of all this a world of celluloid dreams is being created. Private detective J. Parker Wrighte, is on an upwardly mobile career path from his lowly dust bowl beginnings, but finding that every advancement comes with cost and compromise. Working for the Kinchay Agency, Parker is investigating a case for Louis Orwell, one of the most powerful men in Retrowood; but at every turn he is continually dragged back into contact with his past, beginning with the murder of his best friend from childhood, Henry Irving. Drunken priests, sadistic nuns, nymphomaniacal wives, with basketball and gambling thrown in…. How can you go wrong with that? Retrowood: H.I. or L.O. #1(of 2) is available for free on Comixology, ComicsPlus, Graphicly, My Digital Comics, DriveThruComics, AVE-Comics and can be found on on iPad, iPhone, Android devices, Mac, and PC. reMIND is a mystical, sci-fi about faith, love and brain transplantation. Sonja, the lighthouse keeper at a seaside oil drilling town, loses her cat, Victuals. Everyone blames the Lizard Man, the local boogeyman, which Sonja knows is a myth created by her late father to generate interest in the town. But when Victuals unexpectedly returns and has the brain of a strange intelligent creature; it seems someone is doing experimental transplants. With the brain of a lizard and the body of a cat, Victuals must now fight to recover his original lizard body and confront what he thought was the all-powerful god. When Brubaker announced his Kickstarter project for the second volume, I immediately plucked down my money and recommended it on this site. I recommended the web comic turned graphic novel when it was $25, well, how about it for free? 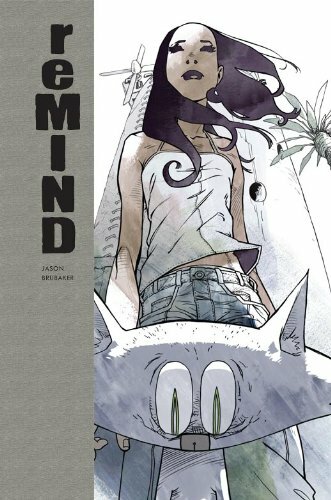 You can download reMIND Volume 1 for FREE on comiXology right now. This offer lasts until January 27th of 2013 so grab it now if you want it for nothing! The graphic novel is amazing, a fantastical tale that’s entertaining for both parents and kids and the art is amazing. Finding series and talent like this, is one of the big reasons I enjoy going to conventions. Do yourself a favor and get this for free today! Get a New Free Comic Every Day at ComiXology! ComiXology is getting into the holiday spirit this year by giving away a new free comic once a day on the web for the next twelve days during comiXology’s Twelve Days of Gifting. Click www.comixology.com to see what the debut free comic is today! And while each day comiXology gives fans a hot new comic from a surprise publisher, that’s not all. During these twelve days you can also gift these amazing comics to friends, family, co-workers, or anyone on your gift-giving list, also for free! 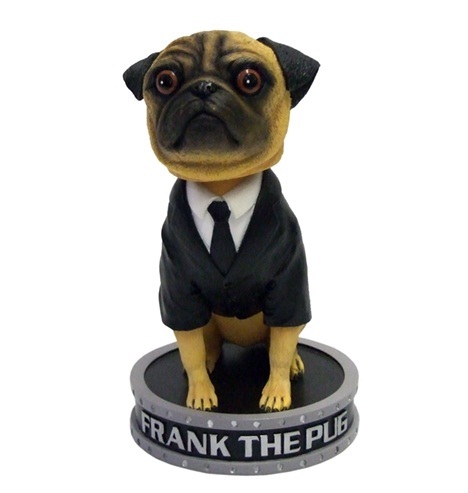 Men in Black 3 is Out Now & You Can Win a MIB Prize Pack! Men in Black 3 is out today on DVD and Blu-Ray and we’ve got a prize pack to give away to one lucky winner provided by SONY! We’re giving you THREE different ways to enter and if you do all three, that’s three entries. Facebook – just like and/or share the post promoting the contest, it’s that easy. Twitter – Tweet “Retweet and enter to win a MIB 3 prize pack http://wp.me/pdMot-frB via SONY & @graphicpolicy” You can tweet this now! Yes, it’s that simple, no tricks, no strings attached. The contest runs until December 7, 2012 at midnight Eastern time. The contest is open to those in the U.S.
You can get Men in Black 3 now from stores. ComiXology revealed today that they are about to exceed 100 million comic and graphic novel downloads. To mark this major milestone, comiXology will be giving away a new free comic every day on comixology.com until the 100 millionth download. ComiXology launched their digital comics platform in July of 2009 as an app on the iPhone and iPod Touch. The digital comics platform was then extended onto the iPad with the iPad’s debut in April of 2010. As 2010 continued, fans saw the extension of the platform to the Web in July 2010 and onto Android at the tail end of that year. In 2011, digital comic fans saw the platform add Amazon’s Kindle Fire, with the comiXology app available pre-installed when the Kindle Fire launched that November. The end of 2011 also saw comiXology powering three of the top 20 grossing iPad apps — with Comics by comiXology topping number 11 for the entire year. In July of 2012, comiXology once again extended the revolutionary digital comics platform with the release of a reader app for Windows 8, which was universally hailed at its debut. With the quickly approaching milestone of 100 million comic and graphic downloads, and with a selection of over 28,000 comics and graphic novels to choose from – with over 900 of those available for free — comiXology securely stands as the market leader in the digital comics and graphic novel space and the go-to platform for newly interested and lapsed comic and graphic novel fans. Comic-Con Episode IV: A Fan’s Hope is On Hulu and We’ve Got Copies to Give Away! You can watch the the full documentary directly on Hulu. We’ve teamed up with NECA and are giving away two copies of Comic-Con Episode IV: A Fan’s Hope to celebrate it’s launch on Hulu. We have two copies of DVD packs with mini-figures of Stan Lee and Harry Knowles to give away and entry is easy. Facebook – just like the post promoting the movie, it’s that easy. Twitter – Tweet “Retweet and enter to win a copy of Comic-Con Episode IV: A Fan’s Hope http://wp.me/pdMot-dIF via @graphicpolicy” You can tweet this now! Yes, it’s really that simple and you can do both to enter. We’ll run the contest through midnight Tuesday September 18, 2012 and you must be in the US to enter. I caught the movie when it was released on Video on Demand and then bought a copy at San Diego Comic-Con. It’s a fantastic documentary that shows off different aspects of fandom and the atmosphere you experience heading to SDCC, and really any convention in general. I can’t recommend it enough, it’s fun, entertaining and keeps you hooked throughout. This is a movie that embraces geek culture and celebrates it completely. So, you can win a copy yourself, just by doing the above or watch it right now on Hulu. Baltimore Comic-Con is shaping up to be the fantastic show I’ve come to expect. ComiXology returns to the show and will be giving away free digital comic codes for The Walking Dead Vol. 1 at their booth, #1403. The company is also sponsoring the annual Harvey Awards. Following the wildly popular promotional giveaways at WonderCon ’12, Emerald City Comicon ’12 and C2E2 ’12 earlier this year, comiXology is teaming up once again with The Walking Dead creator Robert Kirkman’s Skybound, to make this year’s Baltimore Comic-Con unforgettable for comic fans by giving them a free “taste” of the first graphic novel — regularly $8.99 for 140 pages — that the hit The Walking Dead TV show is based on. This time around the first 500 Baltimore Comic-Con attendees to come by comiXology’s booth will receive a limited edition promotional postcard imprinted with a unique download code redeemable for The Walking Dead Vol. 1 exclusively on comiXology.com in exchange for an email sign up. In addition to the must-have The Walking Dead Vol. 1 giveaway, comiXology will be providing hands on demonstrations of the comiXology digital comics platform at their booth all weekend long. Fans should not miss their chance to get a look at the new 3.1 iOS upgrade that includes the new CMX-HD digital comics format for the new iPad. All Baltimore Comic-Con attendees are invited to join comiXology co-founder John D. Roberts alongside Power Play artist Reilly Brown and Valentine creator Alex De Campi for the “Creating Comics the ComiXology Way” panel on Saturday, September 8th at 1pm in Room 302-303 to discuss how comiXology is transforming not only how people read comics, but how people create comics. The annual Harvey Awards will once again take center stage at this year’s Baltimore Comic-Con thanks in part to comiXology. This year’s ceremony honors the industry’s top talent as chosen by their peers and comiXology is proud to be once again share the honor of sponsoring such a magnificent event. FREE Full Graphic Novel For 24 Hours! Viper Comics is proud to announce that on June 8, 2012 beginning at 12:01AM and ending at 11:59PM we will be giving away the full graphic novel of World War Hack to help kick off the digital edition on Apple iBooks. That’s right, it’s not a typo, you heard it correctly, the full graphic novel for World War Hack will be available in its entirety for one full day, so get your copy hot off the digital press. Inspired by true events, World War Hack tells the story of how the U.S. Government gathers top computer hackers from around the country, under the guise of a competition, to unknowingly help solve a pressing national security crisis. Little does the government know that eighteen-year-old hacker, Wyatt Dyer, is both the cause and solution to their crisis. Th3rd World Studios has hooked us up to bring their Free Comic Book Day 2012 offering of Finding Gossamyr to you. The series is by David A. Rodriguez and Sarah Ellerton. Princeless: The Eisner Nominee Edition. A FREE download courtesy of Action Lab. The two-time 2012 Will Eisner Comic Industry Award nominee (Best Single Issue or One-Shot,Best Publication for Kids ages 8-12) is now available for you to download for free. Here’s your chance to check out why Princeless has received so much critical acclaim. Princeless: The Eisner Nominee Edition gives you the Eisner Nominated issue three of the series which features Princess Adrienne, a Princess who’s tired of waiting to be rescued. Join Adrienne, her guardian dragon Sparky and Bedelia in an all-ages action adventure designed specifically for those who are tired of waiting to be rescued, and who are ready to save themselves. Just right-click on the link and select “save as” to get your PDF copy of Princeless. Each download link carries the same copy, so you only have to choose a link and you’re set. Princeless: The Eisner Nominee Edition is available for a limited time. The 2012 Will Eisner Comic Industry Awards take place Friday, July 13 as part of Comic-Con International in San Diego. Voting for the Eisner Awards ends on June 4th, 2012. We thank the 2012 Eisner Awards Nomination panel for selecting Princeless as a nominee in those respective categories. And we also thank you in advance who take the time out to go to Eisnervote.com and place a vote for Princeless for Best Single Issue or One-Shot and Best Publication for Kids ages 8-12. Voting for the Eisner Awards ends on June 4th, 2012. Votes can be placed at Eisnervote.com. Everyone at Action Lab Entertainment thanks you for your support, and enjoy reading this issue of Princeless. Princeless – Book One: Save Yourself, collecting the first story arc of the series arrives on shelves at your local comic book shop on May 16th. Action Lab Entertainment was founded in 2010 by a group of indie comic creators with the sole intent of publishing the most diverse, thought provoking, entertaining comics on the market. Their first major release, FRACTURE, was released in July 2011 followed by PRINCELESS in October. Action Lab continues to publish genre spanning comics from the all-ages MONSTERS ARE JUST LIKE US, and mature reader books like SNOWED IN and DOUBLE JUMPERS.